This is another movie I’d say probably became one of my favourites when I originally watched it at the cinema. I haven’t read the book this movie is based on, so my review is entirely based on the movie. I found this movie to be a really entertaining film to watch. Some parts of it seemed to come across as historically accurate, such as the fighting in the arena. I did have a cringe-worthy moment at the use of ‘Yeah’ and ‘Okay’, though. My favourite part of this film was the friendship and close bond that sprung up between Marcus and Esca. There were some incredibly moving scenes between them, made more so because Esca’s original loyalty stemmed from a debt of honour he didn’t want to be committed to. In many ways, I was glad to see there wasn’t any romance in this movie. It was good that the focus was on the brotherhood and loyalty between the characters. There were many scenes that were intense to watch in this and I thought it was good there was minimal use of CGI. One of the things that I liked about this movie was that there was clear acknowledgment of neither side being good or evil. 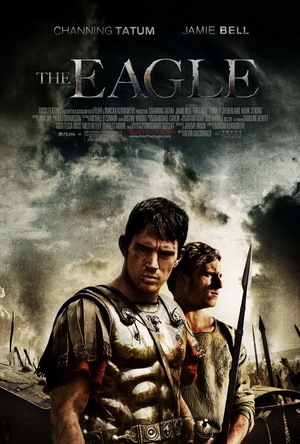 Some of the Romans had honour, but there were others who killed for sport… and even if Marcus was one of the good guys, the fact that the film focused more on the individuals than on one side or the other worked really well… in my opinion. There was one particular scene that I found very disturbing, but despite the movie being an action one, the violence itself wasn’t as intense as it could have been. I liked both Channing Tatum and Jamie Bell in their roles and there were a couple of other actors I recognised in this, too. I did like the ending of this movie and I found it really entertaining to watch. Maybe it’s not as historically accurate as it could be… but in my opinion, the bromance makes it definitely worth viewing if you enjoy films that focus on relationships other than romances.